City Hall is in downtown Toronto. 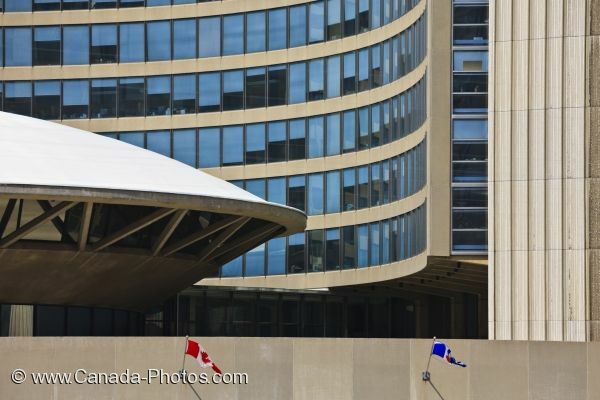 The City Hall building is seen from Nathan Phillips Square. The tall building curves around the saucer shaped building. The saucer shaped building is the council chamber. Seen from Nathan Phillips Square is City Hall in downtown Toronto, Ontario.